“Where in the world have you been?” I get that a lot lately. Well here is some of what I saw on my vacation. 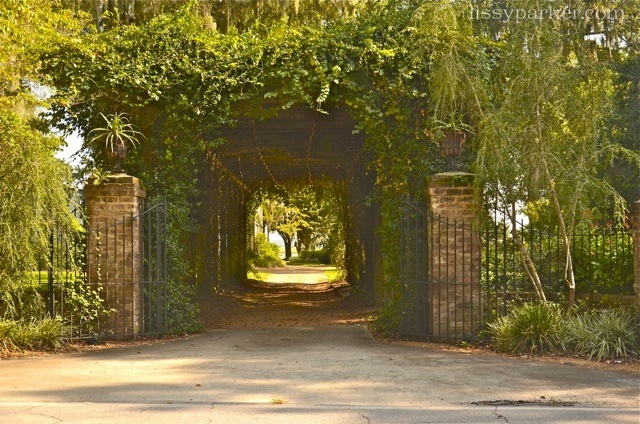 These charming entry drives are located in the coastal areas of Savannah and rarely seen by tourists. I started to call them driveways, but that just seemed wrong. 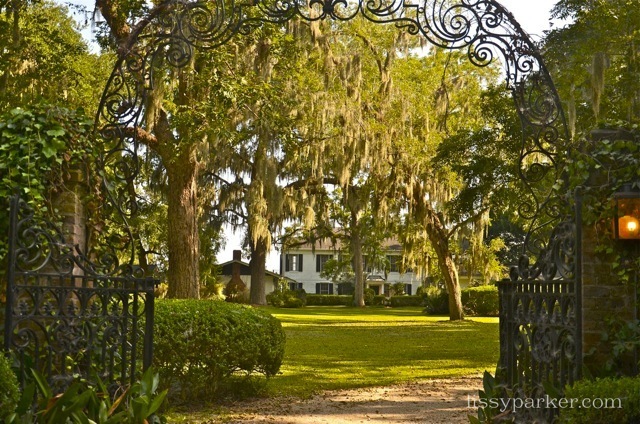 These entries have so much more to offer then a drive to the front door. They are welcoming, mysterious and totally captivating. Look closely and maybe you will find an inspiration or two—I certainly did! 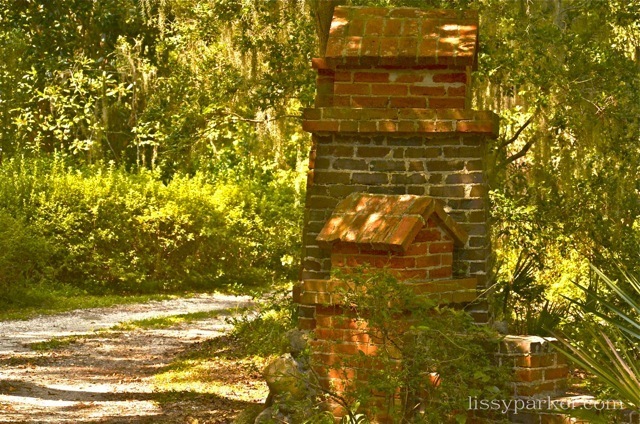 Savannah brick columns mark this entry—very unique. Gravel, wood and pierced brick are combined. I love the mystery of this drive. What is beyond the curve? 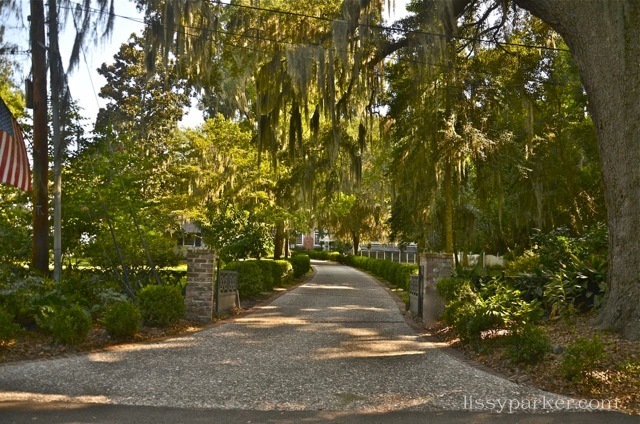 Curves, gravel, white pickets and beautiful Live Oaks dripping with moss complete this drive. 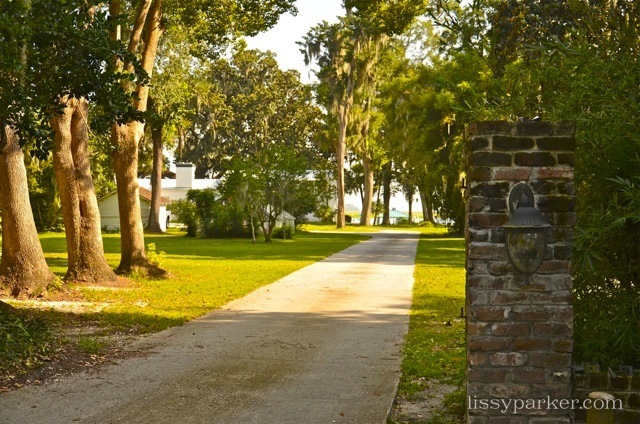 This drive approaches from the side of this waterfront home. 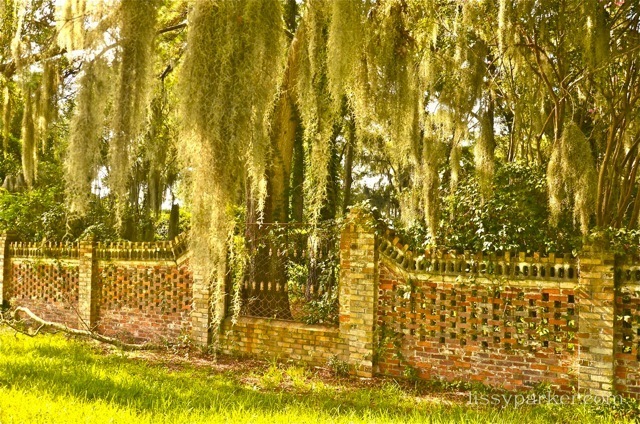 Old Savannah bricks are combined with iron work—love the pierced brick. And how about this long mysterious drive? 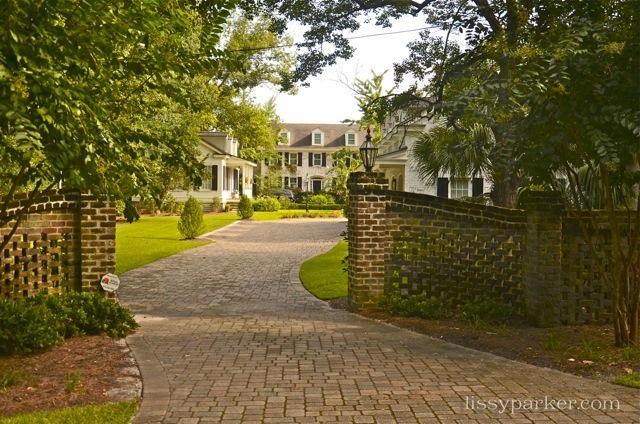 Stunning curved brick wall and drive—yes, please! 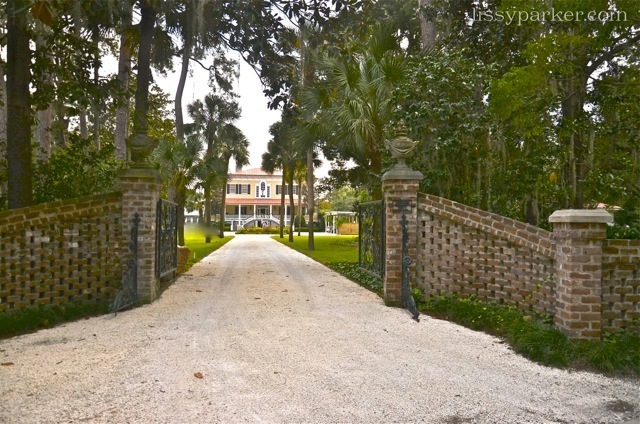 Iron gates, brick columns, iron arches, boxwood and Live oaks line this entry drive and garden. 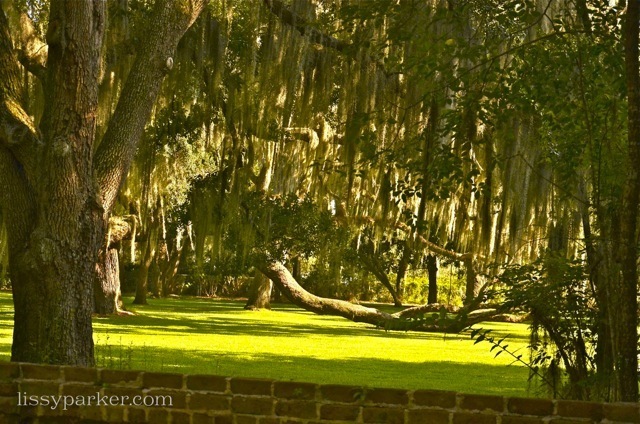 This live oak is supported by braces on the ground. What attention to detail! 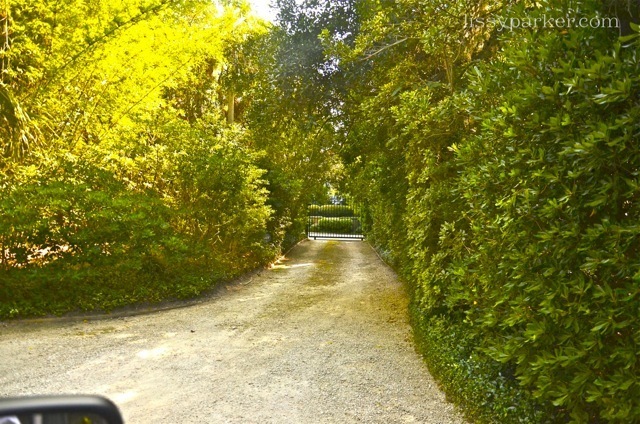 More mystery is created with the hedge and curving entry. 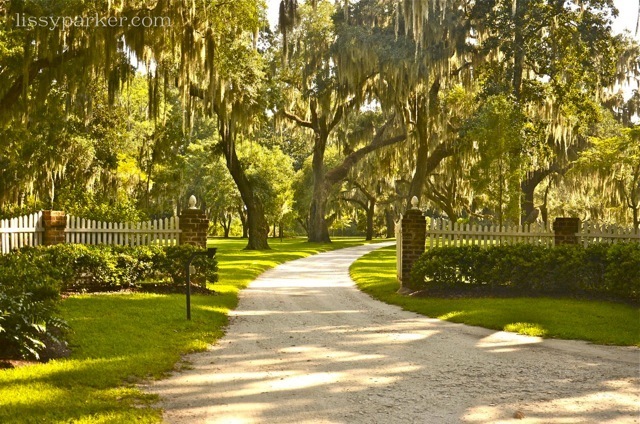 So very charming … I need to live here. 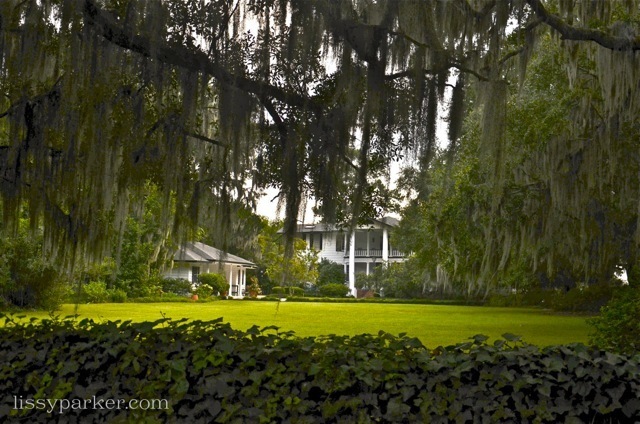 Good hedges make good neighbors and beautiful entries. 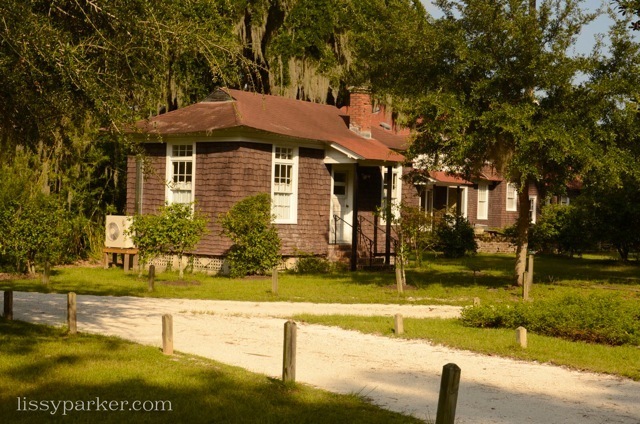 How charming is this little cottage and drive. 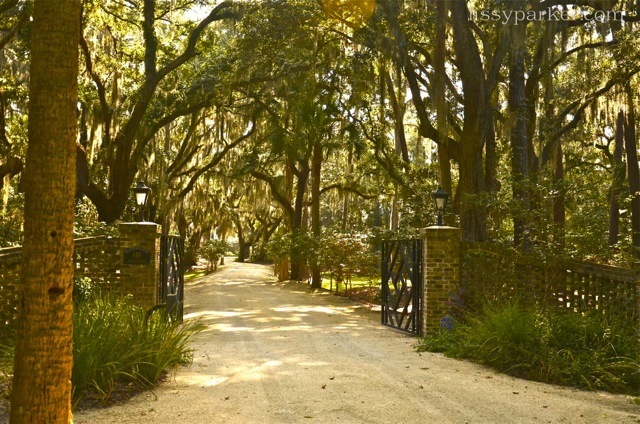 Imagine entering this vine covered pergola with small white lights every time you come home … so enchanting. 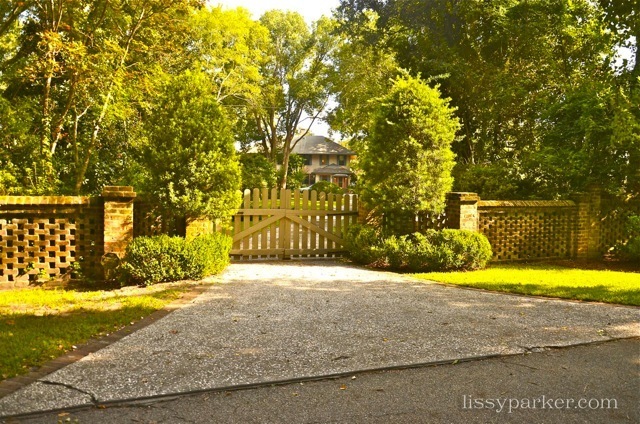 This side drive is marked by an iron gate and boxwood—a classic entry. LOVED this post. 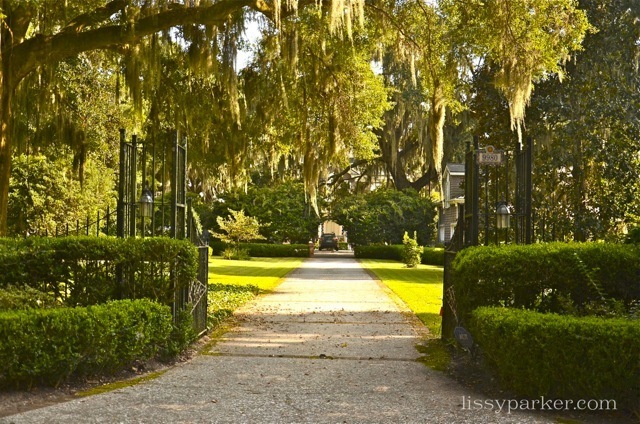 I haven’t been to Savannah for several years, would love to go back! Thanks for the e-visit! Cindy, I was taking pictures and realized they were all of entry drives—always blogging. 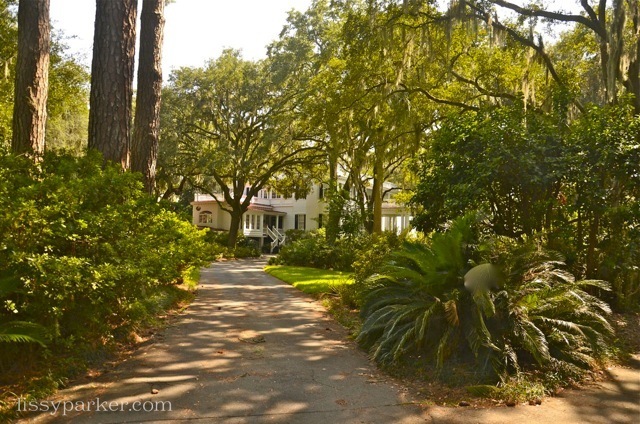 Savannah is wonderful in the Winter—no bugs or humidity.